Buddha statues line the walls of Wat Pho in Bangkok. When describing Indonesia, people often refer to its nearest neighbors as points of comparison. These include Malaysia, the Philippines, Vietnam, and Thailand. Its two fellow middle-income countries, the Philippines and Thailand, make useful points of comparison because their respective capitals, Manila and Bangkok, are considered “mega-cities” like Jakarta. Because I had to spend the past two week in Thailand for work and visa purposes, I’ve been drawing a lot of comparisons between Bangkok and Jakarta. I had barely stepped out of the airport when I declared that I would rather live in Bangkok than Jakarta. In less than a day, though I didn’t have any data to prove it, I felt that this city had a higher quality of life. My early observations were that Bangkok had better public transit; more and better sidewalks; less traffic; lower levels of pollution; more parks; better-preserved cultural history; and a higher tolerance for difference (i.e. homosexuality, ways of dressing in public, etc.). Some of these things are clearly visible, like the Sky Train. Others I just sensed in the air, for example an acceptance of diversity, which is palpable though not easily measured. But was I just thinking the grass was greener in Bangkok? Bangkok’s elevated rapid transit (aka Sky Train) covers more than 55 km of the city, and links to a separate airport rail line. It turns out the hard data support my early observations. In Numbeo’s quality of life index, Bangkok scored 52.6 and Jakarta minus–13. The index compiles data on pollution, safety, transport/traffic, health care, and costs of living. Bangkok beat Jakarta on all these measures. In fact, of 100 cities ranked worldwide, Jakarta is 4th to last on the list, ahead of only Caracas, Tehran and Manila. In other words, Bangkok has left its two fellow Southeast Asian megacities in the dust (it’s also ahead of Rome, and just behind Buenos Aires). How did it do that? All three of these Asian countries are recent converts to democracy, and all of them suffered through an economic crash in 1997. So what did Bangkok do right? Of course there are differences that do not boil down to city policy. For example, nationwide, Thailand’s economy has recovered better than others after the Asian financial crisis, with a GDP per capita that is now higher than Indonesia and the Philippines. Bangkok also has fewer people, with a population density about one-third that of Jakarta. Versus.com offers some other interesting insights: Bangkok has more Facebook users than either Manila or Jakarta, an indicator of a better knowledge of the Internet and thus education and global connectivity. They also point out that Bangkok has a higher tolerance of drinking in public. Perhaps both of these increase tolerance for diversity. Thailand is a monarchy, and is overwhelmingly Buddhist (religion is also strongly linked to the king). Indonesia is overwhelmingly Muslim; the Philippines is mostly Christian. Religion is easily visible in these capital cities. In Jakarta, the Islamic call to prayer rings out through the city five times a day; Bangkok has temples or shrines on virtually every street corner. 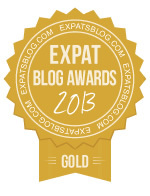 Another interesting vote for Bangkok is its winning of the Travel and Leisure “Best City” award, four years in a row. In one sense, such an award can become a self-fulfilling prophecy: More visitors means more cultural diversity, and a better tourist infrastructure, which makes a city better to visit all around. Still, I think the award hints at one underlying reason for Bangkok’s success. The country has a rich and beautiful culture. Buddhism runs deep in daily life, and it’s linked to worship of the king: Thai people do not pass by even a small shrine on the street without pausing to bow. Perhaps tourism has helped recognize the value of that cultural history, and preserve it. A man pays homage to god and king by affixing pieces of gold leaf on this statue of Buddha. Having a king might also help Bangkok. Thailand is a constitutional monarchy (like the UK). In 1932, Thais demanded a constitution, and since then, the king has been a figurehead. Political rule has been plagued by coups and conflict, but its monarchy has never been overthrown: The current king has reigned through 17 military coups, creating a stable, benevolent leadership as the country figures out democracy. Thai law states that the king cannot be violated (e.g. criticized, defamed, etc. ); he is considered divine. So this strange legal set-up ensures a sort of protection or preservation of national culture and religion. The king also sets a precedent for benevolent leadership: For example, kings have been investing in public medical care in Thailand for centuries. The role of the king in creating public goods translates into public space, like sidewalks. The Thai view differs dramatically from Indonesian leadership. The dictators of Indonesia had two reasons for disregarding public goods — political and financial. A lack of public spaces helped prevent the public from assembling in opposition. Also, empty (public) space could be developed into a high-rise, a mall, or another road to fill with cars, for profit. Financial interests of politicians and corporations have snagged Jakarta’s plans for a canal and public transit for years. It’s impossible to point to any one reason for a city’s success. For all their similarities, Bangkok, Manila and Jakarta exist in very different contexts. But it’s clear to me that Jakarta has a few lessons to learn from its mega-neighbor to the north. Public transit and public spaces, such as sidewalks and parks, create a truly valuable difference. Jakarta’s mass transit system — groundbreaking for which started two weeks ago — can’t come soon enough. Alleyways like this lead to river taxi terminals along Bangkok’s Chao Phraya River. This entry was posted in Culture, Indonesia, Politics, Religion and tagged bangkok, Jakarta, megga city, public transit, quality of life, urban policy. Bookmark the permalink. Numebo is very misleading and i wouldn’t recommend trusting it as many indian cities are way too ahead of Jakarta, Manila and even Rome, you do not even stepped out from the airport and how come you just judge our city that way? it’s not like i disagree with you that Jakarta is a shithole in its own way, being overly populated, dirty, stinky and pedestrian unfriendly however you haven’t even experienced the city well enough. Drinking in public may not be tolerated well in Jakarta, being a large Muslim dominated country (NOT ISLAMIC) but it appears to be ok for a lot who had done so. Jakarta is probably 10 years behind Bangkok in terms of development and has been ruled by corrupt leaders and mayors, the city is currently transforming into a new stage of its existence with its newly elected super corrupt-free governors Joko Widowo,, he has been improving a lot of stuff for the city and it takes time to really turn it into a livable place as its been too neglected for years. In fact other cities such as Denpasar, Bandung and Surabaya are way better than Jakarta for living. Pollution is terrible in Jakarta and so is the traffic, but it doesn’t differ that much actually but yes the public transportation in Bangkok is better, but not wider in terms of coverage than Jakarta’s busway and suburban rail network, but it is always overcrowded at times. Jakarta is actually pretty green city with its boulevards decorated with grand large trees, Bangkok hardly had those. But then again it is completely up to you, with your own opinion and perspective. I am not really defending Jakarta as it is way behind Bangkok by miles in terms of attraction and infrastructure, Jakarta also do not really have an attraction or charm of its own unfortunately, Renovation of its old town just begun, so is its MRT, sidewalk are slowly increasing and gardens are popping up as well… i do not expect much from this chaotic city but it is slowly getting better with better governance. its level of tolerance is expectedly to be lower than Bangkok and Manila but is better than Kuala Lumpur. Jakarta indeed needs to improve with all its chaos and endless problems (slums, traffic, flooding) but it doesn’t mean that the city didn’t notice its weak point, all i can say is the city currently are making moves to make itself better. Thanks for the comment! It turnsout that parks and green space are not hard to measure and jakarta certainly loses the competition. According to the Economist magazine from june 2013, Jakarta has 2.3 meters of park per person, notably less than Bangkok’s 3.3 meter pp. sadly that leaves jakarta as the second worst city in Asia in terms of park space (just behind Kalkata). The green space of Jakarta is 10.5% (googled Jakarta ruang terbuka hijau which mean green open space) compared to Paris at 8%, paris maybe the most beautiful but not the greenest. But Bangkok is definitely is more of Paris when it comes to attractiveness, but to look the other way around the skycrappers of Jakarta which most are glacially appealing and very well designed are much2 better than most SEAsians capitals. Though i do not know the total of all green space that Bangkok had, because the city have a preserved green lung in the middle of the city, but if boulevards trees are counted then Jakarta beat Bangkok, the trees actually helped to reduce the congestion. Jakarta also held car free day each weekend which is a boost to its air pollution, Bangkoks downtown pollution i must say the worst. 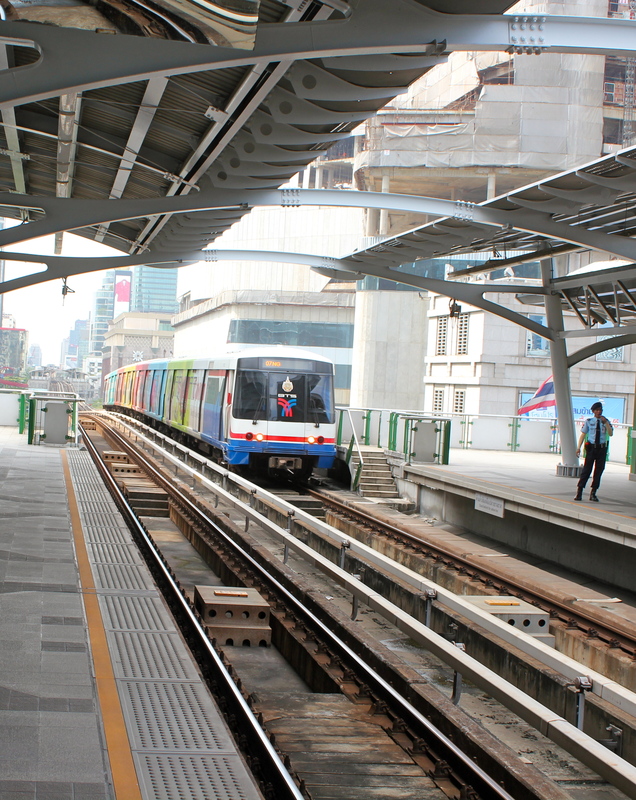 Bangkok’s MRT and BTS(sky trains) are gooing to open their few more lines by the next few years. Not still under construction. Bullet Train is coming up next. Glad that you like BKK, although I think you feel a bit too positive on us and too mean on our Indonesian friends. As a Thai I would say that we also have a lot to learn from Indonesia as well. TH and BKK are like every places in the world. We have both good and bad things. Also good and bad people. hope you see the first ones, not just in TH or ID but wherever you go. I live in Chiang Mai, another tourist destination. If you haven’t been here, please take this reply as an invitation. Jeepnicity from Manila. I really loved how you created relationships between politics, urban space allocation and religion in Bangkok. Maybe that is what we lack here in the Philippines, each party must recognize the existence and importance of each other in developing a great urban environment for the people. PH constitution dictates the separation of Religion and State, but clearly urban planning in the Philippines are always centered to Churches, hence religion (Laws of the Indies). It is hard to live in city where the forces (government, church , poeople) at play are not aiming for the same goal, and cohesively acting on the problems of the state and the environment.